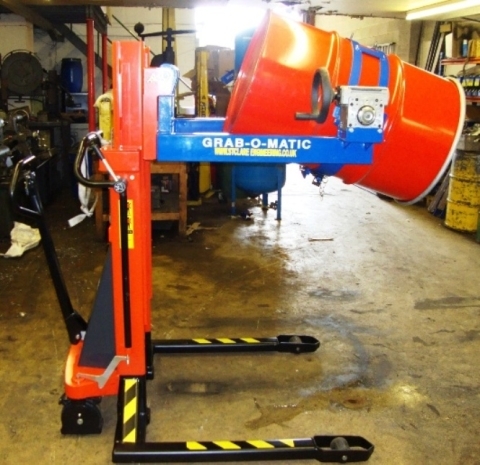 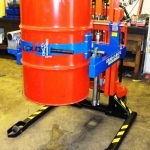 The straddle type legs allow the unit to straddle the drum, move around a workshop and raise to dispense the contents. 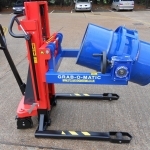 The drum rotation attachment (model QR-SC10), secures the drums in a steel clamping hoop with an adjustable over centre clamping chain and locking pin, rotation is via a hand operated gearbox that gives full control throughout the rotation process. 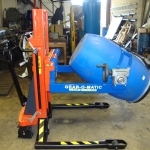 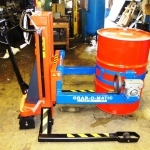 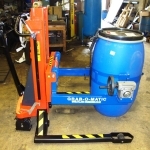 The unit is available in various lift heights and a power lift and power drive version if required.